Participating in a half marathon for the first time is scary. Especially for someone that isn’t really a runner and doesn’t really know how to train to become one. 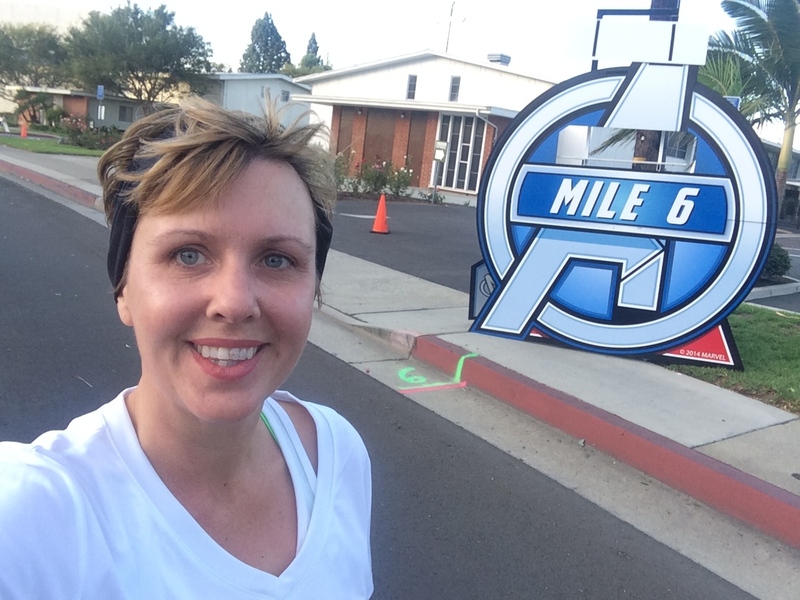 So when I started training for the Disney Avengers 1/2 marathon in 2014, I was lost. I looked up some running/training apps to use on my phone, I read blogs and I went to the running stores to see what they had to say. Actually, I went to one running store, the guy pretended to be an expert but really was just a shoe salesman, but that is another story. I can be competitive, not as competitive as my sister, but still competitive. I really wanted to be able to run the entire 1/2 marathon, but not being an avid runner I soon realized that may not happen. And I’m okay with that. Luckily I found the Jeff Galloway training program and it really helped. I like to be prepared, so I bought all the tools and essentials, I thought I may need. Running belt with water bottles, timer watch, compression socks, running leggings, sports bras, and a cute headband. All were great at first, but then I realized I didn’t really need it all. Especially on my short runs…lol. My training turned into Walk Run Walk training. I would walk for 5 minutes, jog for 5 minutes, then walk for 5 minutes. you get the idea. My pace was slow, I was nervous that I might be too slow, but all I cared about was finishing the race. For me, running in the Disney Avengers 1/2 was about raising money and awareness for Rett Syndrome. I joined the GirlPower2Cure.org team and was immediately happy to be apart of the team. There is just something awesome about parents running for a cure, sharing training tips, stories and also encouraging each other. Some parents are avid runners, others run races to raise money, while some of us were just happy to be walk, run, walking our booties to the finish line because we wanted to push ourselves for our girls. I’m thankful I found the Walk Run Walk program. Here I am a year later, starting another training for another 1/2 marathon and I’m going to be using my old faithful guide of Walk Run Walk. Will I come in first? No. Will I be walking,? Yes, probably more than I want. Will I finish the race? Yes. Will we get to a cure? Maybe not this, year but soon, very soon.